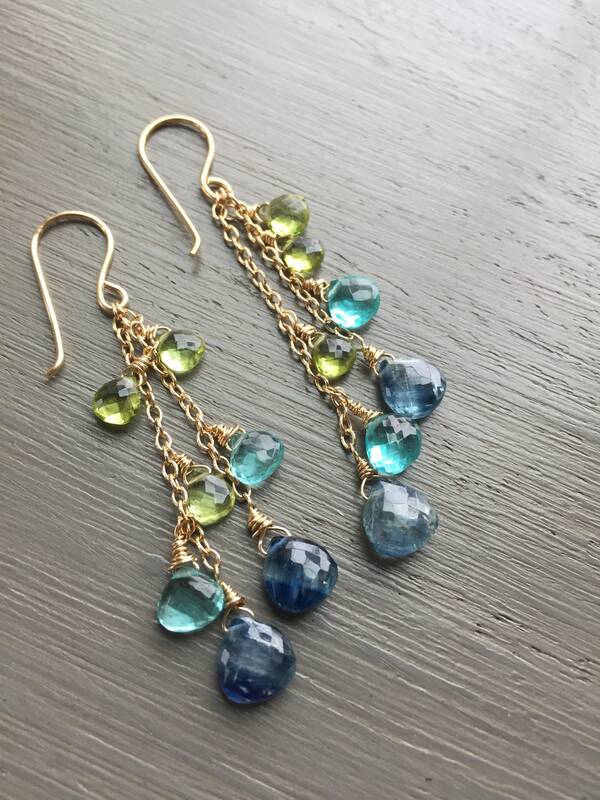 Vibrant colors of blue and green, fit for a mermaid! 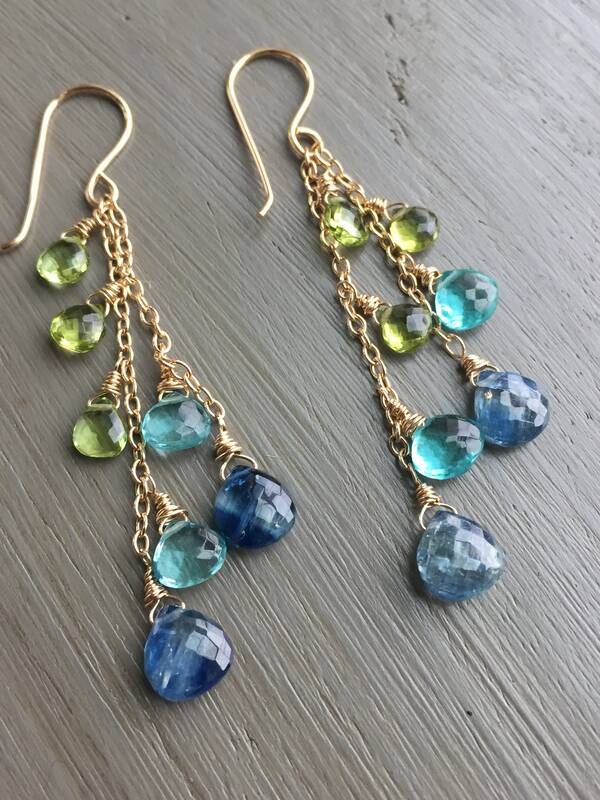 Petite, AAA rated briolettes of natural peridot, apatite and kyanite gemstones are wire wrapped in 14kt gold filled wire to a delicate cable chain. These beauties measure 2 1/4" from hand wrought ear wires. Your earrings will ship USPS Priority Mail with tracking in the US. Please contact me for shipping upgrades for international locations if you wish to add tracking or insurance. 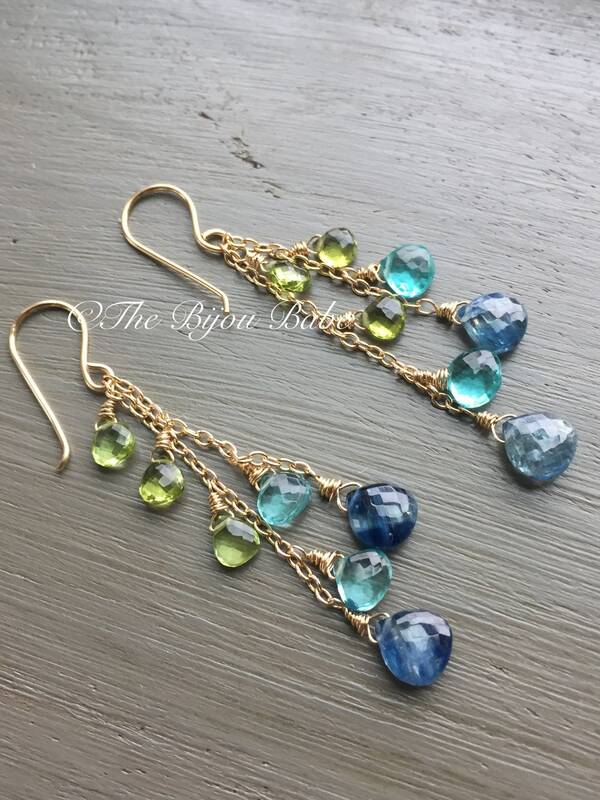 Earrings will be beautifully presented in a signature 'The Bijou Babe' gift box.